It uses two different LED colors (blue and green) and beeps of different durations and types to indicate the proper functioning of the system and the events related to the child (presence and sudden shifts). It is equipped with a silencer in case you do not want to wake the baby or disturb other passengers. 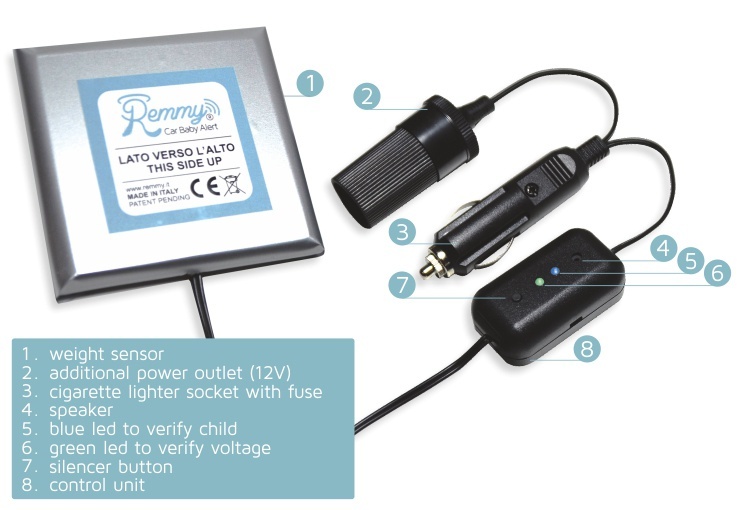 It is equipped with additional plug to allow the simultaneous use of the 9V socket for an eventual phone charger. Works on all types of cars, even those equipped with automatic start&stop.